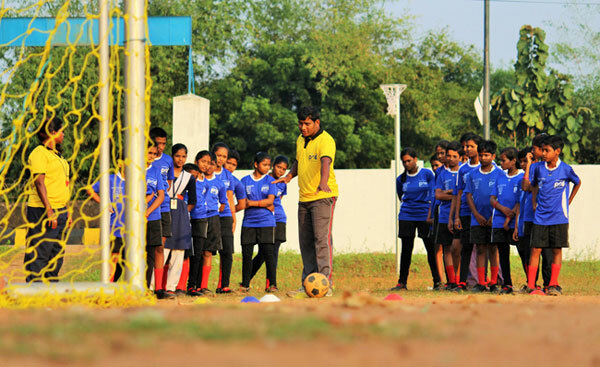 PSD has the expertise to develop and implement a wide range of Sport4Good programs that are designed to assist in the holistic development of youth and aid in their academic and cognitive development. We have particular expertise implementing programs that focus on the inclusion of marginalized groups, including girls and youth from Scheduled Castes (SC) and Scheduled Tribes (ST). Increase the ability of youth to communicate effectively and work well within a team. Ensure integration of girls and boys in the same activity, learning about gender equality and mutual respect for opposite genders. Aid in the mental and physical health and well-being of youth. Increase the self-confidence of youth, empowering them to take up leadership roles within their communities.